When you work as a massage therapist, you must meet state certification requirements in order to practice. Some states, such as Alaska, don’t have professional regulation and therefore do not require that you have a continuing education certification. Others, such as Colorado, require license renewal every odd year. And still others, such as Mississippi, require the massage practitioner to complete a specific number of continuing education hours every set number of years in order to remain certified. State certification and recertification laws are in constant flux, and each state has their own standards. It is the massage practitioner’s responsibility to make sure they meet any and all requirements set forth by their state. Be sure you check your state’s requirements every year because they change so often. If you’re way lost, check out our handy list of each state’s requirements for massage certification. The NCBTMB requirements for certification went through some changes at the beginning of 2013. We’ll skip over what the certification requirements used to be (they don’t apply anymore, so it’s not really relevant) and get down to what they are now. 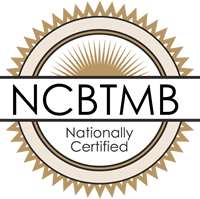 If you already have National Certification through the NCBTMB, you have to renew by becoming Board Certified. In order to do that, you must: pay the $85 fee (of course) and complete 750 hours of education, including the NCBTMB core and/or any other continuing education units. You must also complete 250 hours of hands-on professional practice (which you’ll need to prove through your appointment book, or with a letter from your boss). Finally, you will need to make sure your CPR certification is current, consent to a criminal background check, and complete the Board Certification application. If you are applying for Board Certification and you do not have previous national credentials with the NCBTMB, you will also need to pass the Board Certification Exam. If you’re taking the exam, you won’t pay the $85 fee...but there is a $185 fee for the exam itself (bummer!). You might live in a state that requires only 500 hours of education to be certified, or one that has no requirements because it doesn’t regulate massage therapy. You must complete the extra hours in order to get the National Certification. And of course, it’s in your best interest to become nationally certified: many employers require it, your state might require it, it makes you more competitive in the market, reassures clients of your ethics and skill, and it increases your employment opportunities should you move to another state. Check our list of state requirements to see what you need in order to continue practicing, then double check them with your state’s Board of Massage. This ensures that you can renew your certification and practice legally. Then, get nationally certified by completing whatever remaining hours of education you need in order to get to 750 hours. Take the Board Certification exam, if necessary. Once you’re nationally Board Certified, you’ll be much more hireable and will have the publicity and ethical heft of the NCBTMB behind you. Whether you need state or national level CEUs, we've got a wide variety to choose from. Take a look at our complete course listing or try a free course today!